Ok, I know my imagination runs wild, but this is just your good old akara balls and it has a recipe here (lol). Adding sweetcorn to akara came to me while I was making some for my kids who don’t like eating akara. The jar of sweetcorn was looking at me and I thought “since they like this, why don’t I add them to this batter”. It seriously came out nice and you have to try it too. Also, go and try the Dodo-akara pancake, while we think of more variations. Akara is easy to make at home if you have a good blender to blend your beans with just very little water. A mortar or hand mixer or just the simple whisk are the best for turning the batter and getting it done well so as not to go flat in the hot oil when frying. Use the akara balls and nuggets recipe below for this and just add your sweetcorn after whisking. I have also tried using baking powder and it came out nice…will update you on that one day. Add the sweet corn and mix in well. Scoop into the hot oil with a spoon and fry till golden brown, turning the other side to brown too. * Be careful when frying, as some of the corns on the outside may actually pop. 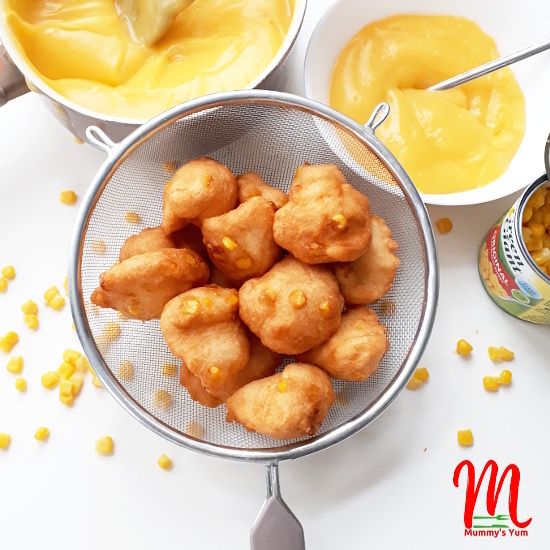 *If you have a toddler or baby, you can actually mash up the corn a bit before adding to the akara batter. Get the pictures of these and more on our Instagram and Facebook page. Don’t forget to follow and like us there, as well as share with friends. 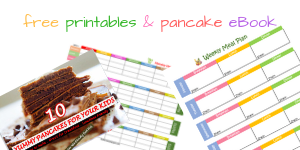 Have you signed up to Mummy’s Yum Newsletter?. 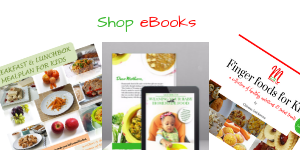 Click here to subscribe and download your free pancake eBook. Yetunde, there’s a frittata recipe here. You can adapt that with potato.